Bvblogic Client Reviews, Rating and Analysis Report. bvblogic is a technology company with a passion for innovation, which creates reliable and efficient IT products and solutions, solves globally important challenges thanks to talents, standardized development processes and the use of disruptive technologies. 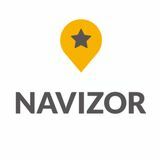 Navizor is the first in the world mobile navigator, which allows planning the routes taking into consideration the quality of the roads and warns drivers about dangerous areas of roads ahead. We have developed an intelligent algorithm for calculating the quality of the road covering, which is self-improving. Professional team, proactive approach, performs like partner, meets my expectations. bvblogic is a team of top-notch professionals. It`s a professional, flexible, affordable and reliable partner. They helped us to build multi-functional applications that would give our users all the necessary functions to make their purchasing process as comfortable and smooth as possible. We looked for the company who could cover the full cycle of development: back-end, mobile dev, QA, project management and we found it. Our project is on ongoing stage as we plan to add the new features to our apps to make it the most innovative on the market. An with bvblogic we are sure that we can do it and provide for our clients high quality service. So if you are looking for the company who can help you to build innovative quality solution, then we highly recommend bvblogic. bvblogic is a reliable team of tech professionals. They provided us with high-quality software development for our product that consists of online web-platform for data collecting and data visualizations. Further, we moved with bvblogic to the development of mobile apps for iOS and Android platforms. It was a real challenge for tech-team to create a mobile navigation system from scratch. Thanks to their deep knowledge of the domain and wide technology stack we achieved our business goals and launched Navizor on CEE markets in time. We recommend bvblogic company as trustworthy and reliable software partner which can help you to build successful global products. The bvblogic team integrates seamlessly with the in-house staff, provides solid advice, and adapts to new requirements. Flexible and reliable, they work extra hours to deliver results. The team was professional, flexible, and affordable. They also took a personalized approach to any issues that arose, on both the development and project management sides. When it was time for me to choose the CORE development team, I knew that they would give me honest, solid advice. The bvblogic team instantly adapts to every workflow enhancement that we make. For a startup, this is priceless. I also respect how devoted everyone at bvblogic is and how much they care about their work. Everybody works weekend and nights when necessary. That’s the way my firm functions, so I’m glad that I found a development team with the same attitude.